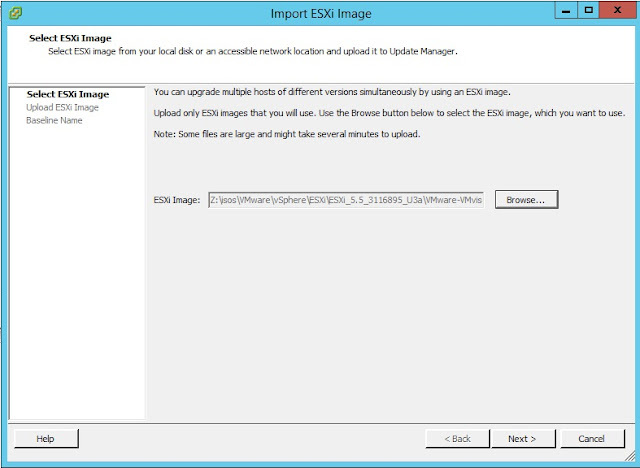 If you have Update Manager (VUM), you can upgrade/patch your ESXi host using it. For GUI lovers, VUM seems to be an easy way out. My ESXi host is Currently 5.5 Build 1331820. 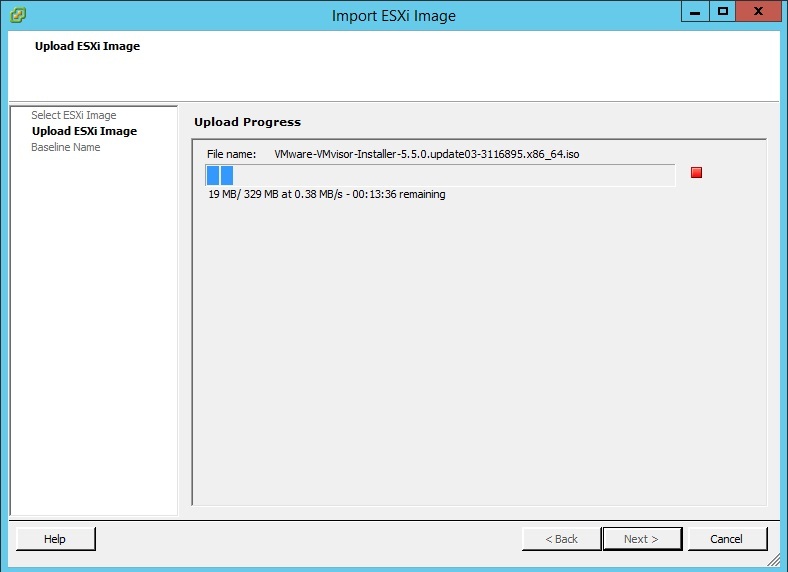 This Build corresponds to 5.5 GA. You can find out about VMware Build numbers from this link. 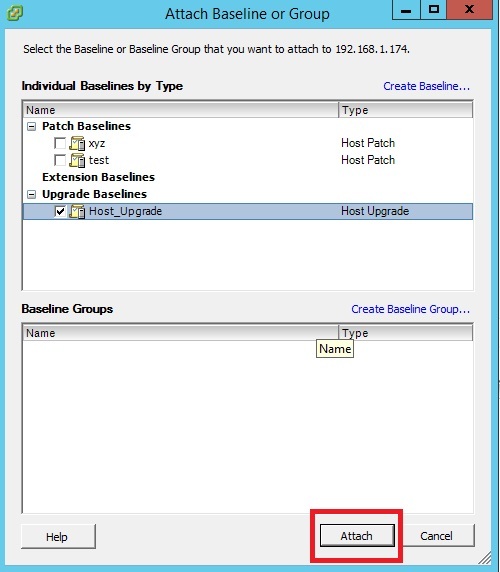 Select the host and click Update Manager tab. Under the baseline section notice that I do not have anything. 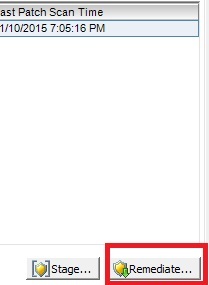 Click the Admin View option. Click ESXi Images and select Import ESXi Image. Browse to the Datastore and Upload the file and click Next. 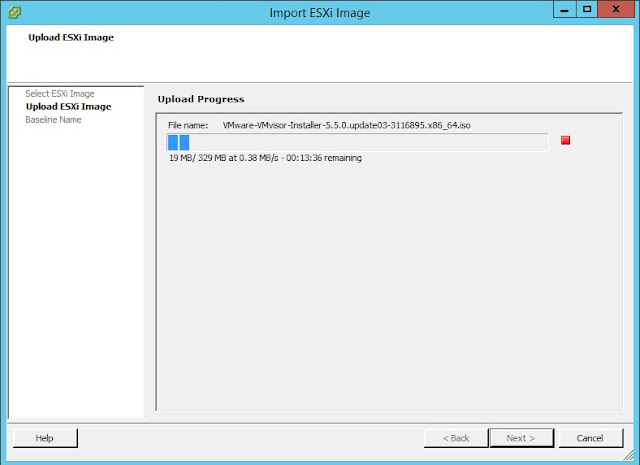 The ESXi image upload will take a quick minute or two. If it comes up as Incompatible, then reboot the host and perform the Scan again. If HA is enabled on the cluster, then Disable HA prior to performing the Remediate option. 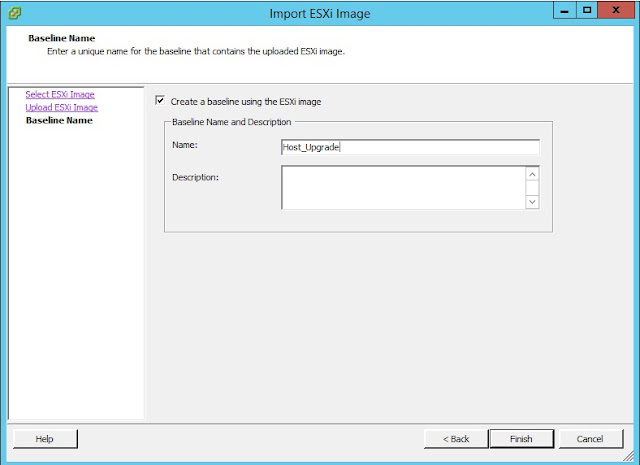 Once the HA is disabled for the cluster where this ESXI host was, click Remediate. This is a simple wizard driven process with no changes required. First, verify the baseline is seen Under Baseline section of Remediate wizard. Click Next. Accept End User License Agreement. Click Next. Enter a Task Description. Click Next. 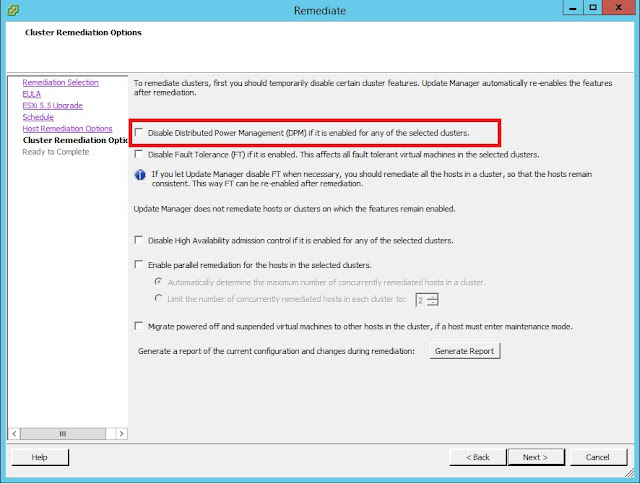 Uncheck DPM if it is enabled for any of the selected Clusters option. Click Next. Review and Finish. 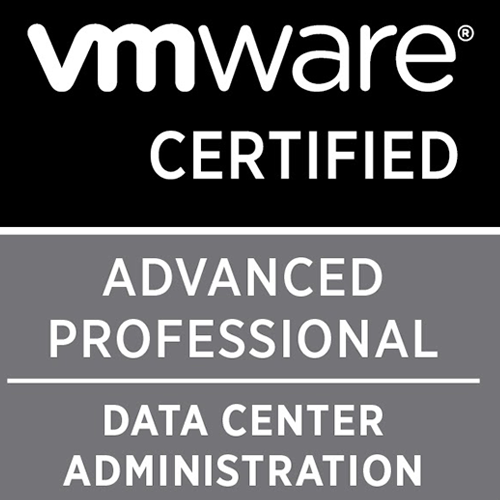 if you observe the upgrade by opening a KVM console to the server hosting this ESXi you will see the upgrade in process. The upgrade takes about 10-15 minutes and you can verify the upgrade by observing the updated build number.